A family business can be a precarious balancing act without the necessary supports in place. Is your family business well-equipped to meet the challenges, maintain family harmony, and achieve business success? Ask yourself these questions to discover if your family business is out of balance. Do family conflicts and issues frequently derail good business practices? Is there a clearly stated entry and exit policy for family members? Does the business have a succession plan (for ownership and for management) that has been communicated to all stakeholders? Is there a clear process for owners to divest their stake? Is their a current organizational chart – including job descriptions? Has the next CEO been identified and announced? Is there a compensation policy (including bonuses) that includes family and non-family employees and is accompanied with an evaluation procedure? Does the business have a governance structure in place that is understood by all stakeholders? Do employees (family and non-family) understand their level of authority and enjoy accompanying empowerment? Is the business profitable and in a growth mode? Are you completely satisfied with your answers? Do you have questions? Want to talk it over with Rick Segal, the premier family business expert? 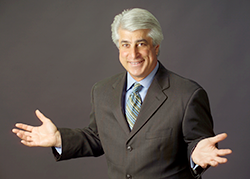 Rick Segal will make himself available to you for a free one-hour consultation. No obligations. Private and confidential. You’ll find it helpful and definitely worth your time.